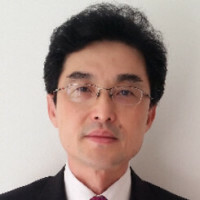 Mr. Simon Eng joined Advance SCT Group on 12 March 2009 as its Chief Executive Officer and has been the Chairman of the Board since August 2009. Simon served 18 years as a senior officer in an elite service of the Singapore Government until 2004, when he retired to join Singapore Exchange-listed United Engineers Ltd. Mr Eng left UE in 2008 to set up a waste and wastewater treatment company that invested in several treatment facilities in China. He has since sold the company. Simon graduated from the University of Hamburg, Germany, as a Naval Architect under a Singapore Public Service Commission scholarship in 1985. Post-graduation, he attended an advanced management programme at the Harvard Business School.